Every day, small business owners are working hard to create cutting-edge jobs, drive innovation in their industries, and increase the overall global competitiveness of the United States. Those businesses that consistently outperform other related small businesses display certain habits that help them to be more effective. Allow more room for growth by using a PEO. A surprising percentage of small businesses (businesses with less than 100 employees) are partnering with professional employer organizations (PEOs) to meet their compliance, payroll, benefits and other human resources needs. 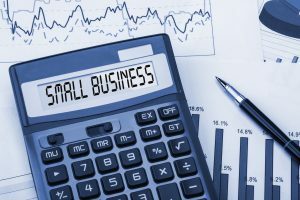 Small businesses that use the services of a PEO see an annual median revenue growth that is, on average, twice that of comparable non-PEO businesses, according to a study released by the National Association of Professional Employer Organizations (NAPEO). Financial reviews should be done monthly at minimum, and can even be done weekly. Doing so can help business owners spot patterns of growth quickly and capitalize on them immediately. Frequent financial reviews can also help business owners identify risks before they cause a major loss for the company. Successful small business owners take advantage of every tax benefit available to their business. Recent tax reform has changed some of the write-offs and deductions that are available to small businesses, but hiring a tax professional is a good investment that can help business owners make the most of their tax benefits. Creating a budget helps business owners consistently make better financial decisions. Each month should begin with budget creation and end with budget review. Business owners who create and stick to their monthly budgeting will make more informed decisions and are able to better identify potential problems before they occur. Most companies need to take on short-term debt in order to create long-term growth for the business. However, short-term debt should only be held for the shortest amount of time possible to reduce unnecessary fees which can be a drain on a business’s finances. April 29th through May 5th, 2018 is this year’s National Small Business Week. Why celebrate small businesses? According to the U.S. Small Business Administration (SBA) there are nearly 30 million small businesses in the United States, and more than half of Americans either own or work for a small business. Small businesses have significantly helped to lower the unemployment rate, creating about two out of every three new jobs in the U.S. each year. Every year since 1963, the SBA has taken the opportunity to use National Small Business Week to highlight the impact and recognize the critical contributions of outstanding entrepreneurs, small business owners, and others from across the nation. The National event kicks off in Washington D.C. with an awards ceremony in which national award winners including the naming of this year’s national Small Business Person of the Year will be recognized and awarded for their achievements. SBA Administrator Linda McMahon will personally present the awards and will then travel to events in Florida, South Carolina and North Carolina. The small business community nationwide can also take part in Small Business Week by attending the SBA’s National Small Business Week Virtual Conference, taking place May 1st through 3rd. Registration is free and small business owners are welcome to pick and choose which webinars they would like to participate in. More information about the U.S. Small Business Administration and National Small Business Week can be found at http://www.SBA.gov.